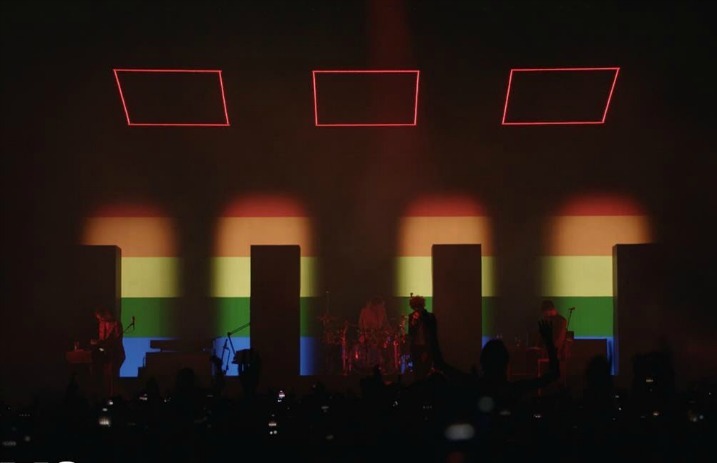 Anyone who has seen the 1975 live recently is familiar with the band's stunning backdrop—not only during the entire show, but during “Loving Someone” in particular. As “Loving Someone” begins, a see of rainbow washes over the room, representing the pride flag of the LGBTQ+ movement. The 1975 have now unveiled a live video of “Loving Someone” from their largest show yet at the O2 Arena in London on Dec. 16, 2016. Released yesterday, the 1975 tagged Donald Trump in their posts with the video, sending a message on Inauguration Day. At the O2, Healy said: “The obvious thing is it is very sad to see not just the young, but young progressive voices of change being drowned out by regressive ideals—it is sad,” (via NME). The band previously posted their entire set at the O2—one of two sets, they actually did two nights in a row there—through Vevo, but they have recently taken it down. 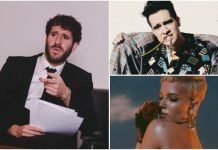 Already planning for a huge 2017, the 1975 announced a show at Madison Square Garden—what will be their largest in the U.S. so far—on June 1, a day that holds special meaning to the band. The 1975 are also teasing a U.S. tour, dates for which will be released on Monday, Jan. 23.